022. Bickner Family. Chas Bickner, Edith Bickner Brown, Ava Bickner Crowe, Oswego, Oregon 1952, at the home of John Bickner. [stamps]: Kodatone, Oct. 1946. Lake Oswego Public Library, 706 Fourth Street, Lake Oswego, Oregon 97034. Transcription 022. Bickner Family. 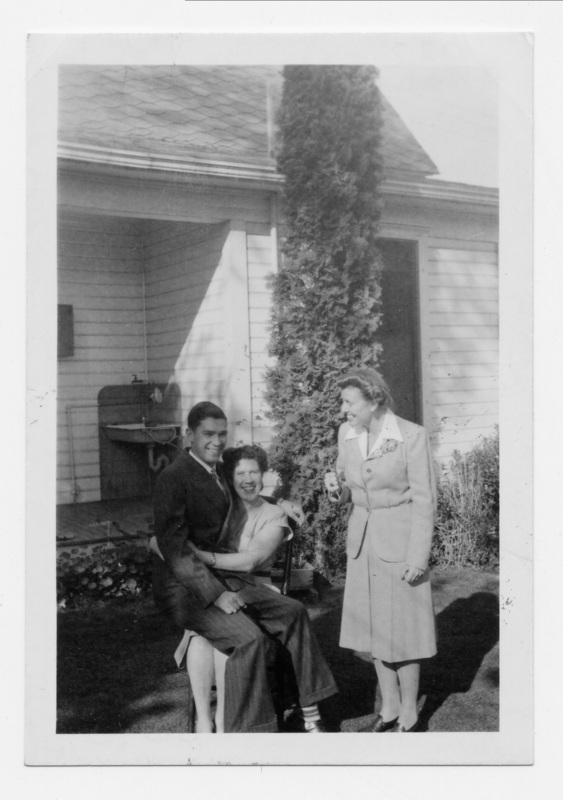 Chas Bickner, Edith Bickner Brown, Ava Bickner Crowe, Oswego, Oregon 1952, at the home of John Bickner. [stamps]: Kodatone, Oct. 1946. Lake Oswego Public Library, 706 Fourth Street, Lake Oswego, Oregon 97034. Physical Description H 2.25" X L 3.5"